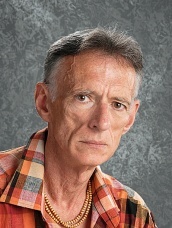 It is with great sadness that we have to announce that Mr. Jamie Graham passed away this morning. Mr. Graham has been a member of the Thornhill family for more than 25 years. He has been an inspiration to so many students and staff. He was a friend and a role model. Mr. Graham represented everything that is good about a teacher. He taught us all so much. Share your memories of Mr. Graham on our Facebook page.